As a renowned Manufacturer, Exporter and Supplier, we offer Ammonium Sulphate of industrial grade, pure grade, and IP grade. Our Ammonium Sulphate is formulated under the strict guidance of our experienced scientists and is appreciated for its precise composition and zero impurities. 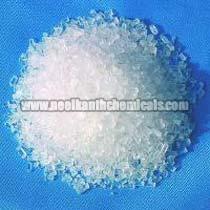 We are known for providing bulk quantities of Ammonium Sulphate in safe packaging and at very competitive price.